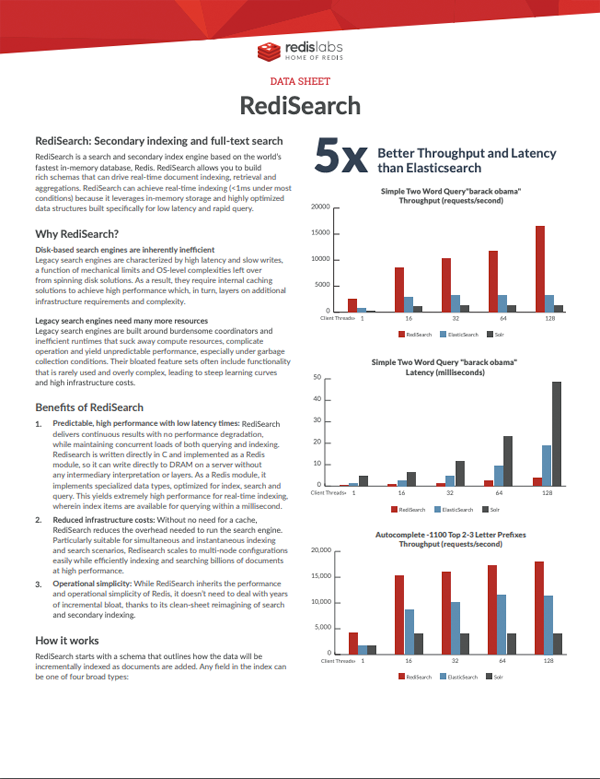 RediSearch is a search and secondary index engine based on the world’s fastest in-memory database, Redis. RediSearch allows you to build rich schemas that can drive real-time document indexing, retrieval and aggregations. RediSearch can achieve real-time indexing (<1ms under most conditions) because it leverages in-memory storage and highly optimized data structures built specifically for low latency and rapid query.